Download the Riding Giants expedition brochure here for an overview of the expedition objectives, branding and legacy. After Matthew climbed Everest in 2012 at the comparatively young age of 23, it took a few years of soul searching to craft the next expedition. Since 2012, Matthew has embarked on a number of smaller challenges, but nothing quite to the scale of Everest. Ultimately, it has been Matthew’s love of flight which has powered his latest challenges, and for the past 5 years, Matthew has been experimenting with the vision of superfast, superlight expeditions on increasingly large mountains with a paraglider and speed wing assisted descent. The premise for Riding Giants is simple. To this day, no one has taken a speed wing above 7,010m. That high honour belongs to Scott Becker, Matthew’s climbing and flying partner, who in the fall of 2017, made a record flight from the summit of the beautiful Himalayan peak, Khan Tengri. 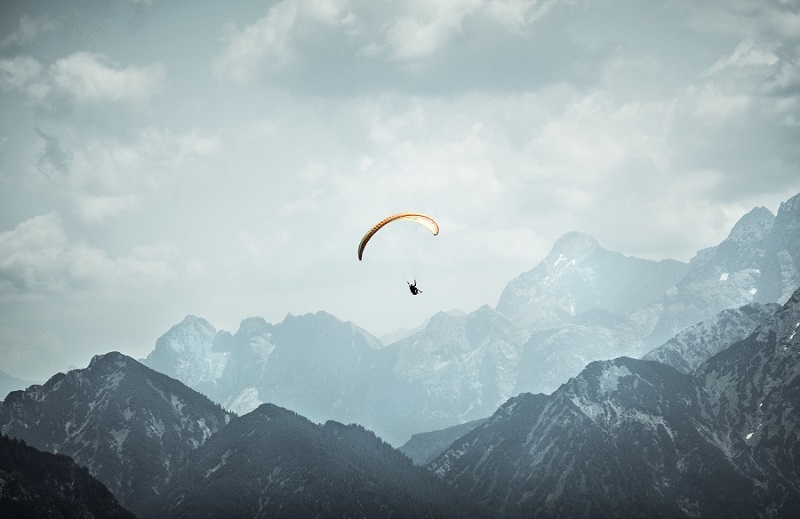 A handful of paragliding flights have been made from Everest, including a tandem flight, however these flights were made using full sized paragliders in excess of 22 square metres. 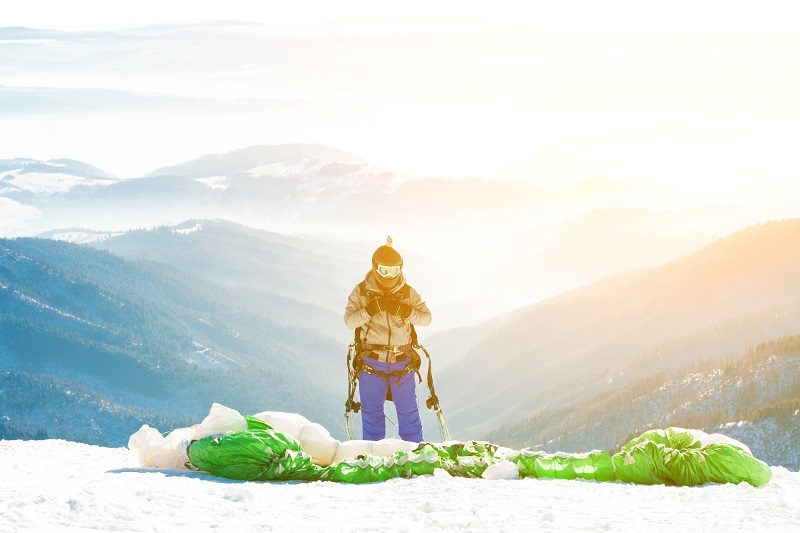 Speed flying (foot launch) and speed riding (ski launch) are almost separate sports compared to paragliding, with a typical speed wing being 8 to 12 square metres. A wing of this size has never been taken into the death zone (above 8,000m), and certainly not to the top of one of the fourteen 8,000m peaks. Riding Giants will achieve something never previously attempted. 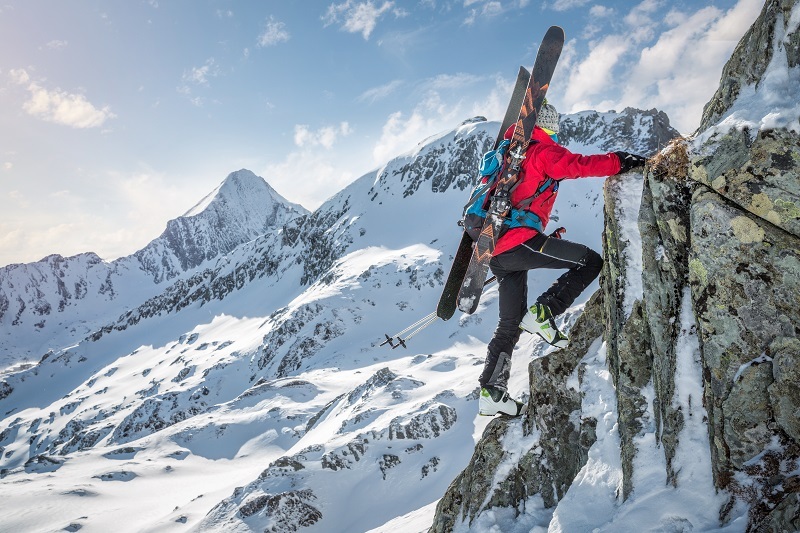 Fly a speed wing from the summit of an 8,000m mountain, with the addition of skis, to make a full speed riding descent. Once the Riding Giants concept was born, it became clear that Everest would not be the target, at least not for the first expedition. The reason for this becomes clear once you understand the overriding and exhilarating goal of speed riding: to fly down a slope maintaining as much contact with the snow as possible, carving turns down gullies, using the wing only to clear obstacles which would not be skiable (and subsequently survivable) by the average human. The first mountain which came to mind therefore was Cho Oyu, the sixth highest mountain on earth standing at a lofty 8,201m. Cho Oyu is in some senses the perfect mountain to speed ride; plenty of steeps, some unskiable terrain, and a great zone to launch (the summit is a flat plateau, so plenty of scope for launching the wing). The launch is critical for speed flying/riding; often the hardest part of a flight is simply getting the wing over your head, particularly in the high mountains which suffer from frequent poor weather delivering either winds too strong for flying or from the wrong direction. Cho Oyu is optimal in these respects, it still gets hammered by the wind, but has many more prospects for launching, and a much higher chance of success, unlike Everest for example, where the weather would need to be absolutely perfect to contemplate launching straight out over the imposing south-west face. Riding Giants will head to Cho Oyu for this record setting expedition in early 2019. The expedition will be working in collaboration with many partners, including wing suppliers (Swing), media partners (ITN & The Huffington Post) and expedition partners (GlaxoSmithKline). Media promotion for Riding Giants has already commenced through national printed news and online services including the Daily Mail. There are now opportunities to partner with this expedition. Further high level details can be found in the linked PDF document above, but for full details including funding options and a leading media and marketing benefits package in conjunction with WPP and Saïd Business School (University of Oxford), please enquire with Matthew’s team via the contacts page.